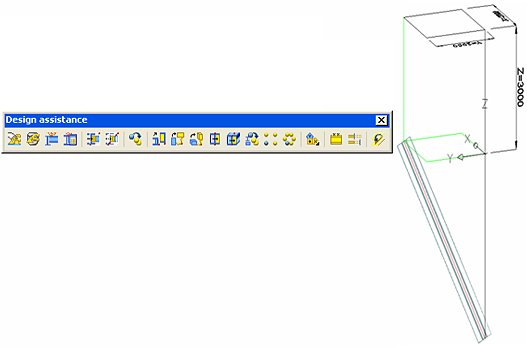 The "X Filter", "Y Filter", "Z Filter" and "XY Filter" commands are available on the Design assistance toolbar. These commands are used for displacing a snap point of an object on one of the 3 UCS directions (X, Y, Z), or in the XY plane. 1. Select the desired snap point. 2. Activate one of the 4 filters. Once a filter has been activated, it is not possible to change it. Click on the desired object and select the snap point that you want to move. Select one of the 3 filters (X Filter, Y Filter or Z Filter) on the Design assistance toolbar. Once the filter is activated, the selected point will move only in the filter direction. Click on any point in the workspace and notice that the object is moving on the projection of the second point, following the filter direction. 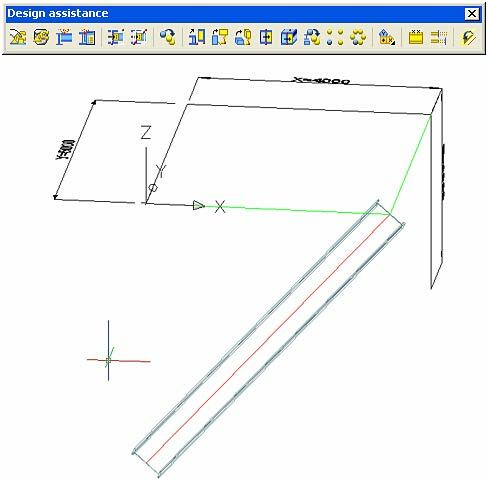 - Select upper snap point of a beam created on the Z-axis. - Activate the "X Filter". 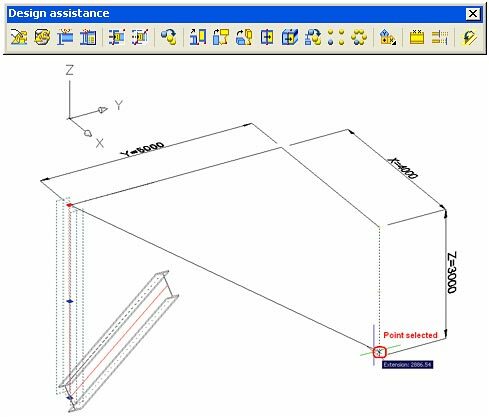 - Select a point in the workspace with the coordinates 4000, 5000, -3000 relative to the top of the beam. In this case, the top of the beam is moved 4000 units in the X direction. Translating a snap point in a XY plane using "XY Filter"
The "XY Filter" command moves the snap point only in its XY plane. Select "XY Filter" on the Design assistance toolbar. Once the filter is activated, the selected point will move only in its XY plane. Click on any point in the workspace and notice that the object is moving on the projection of the second point in the XY plane. - Activate the "XY Filter". 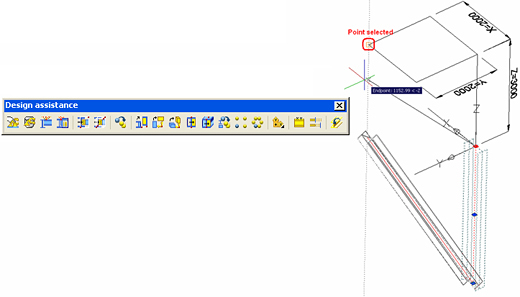 - Select a point in the workspace with the coordinates 2000, 2000, 3000 relative to the top of the beam. In this case, the top of the beam is moved 2000 units in the X direction and 2000 units in the Y direction, following the projection of the selected point in the XY plane.